The Koh Yao Islands are located in the south of Phang Nga Bay, halfway between Phuket and the mainland of Krabi. Koh Yao Noi and Koh Yao Yai are two large islands that are surrounded by many smaller islands. These islands are part of Phang Nga Province and are accessible by boat from Phang Nga, Phuket and Krabi. However the easiest and cheapest way to get there is from the eastern ports of Phuket. The smaller of the two islands is Koh Yao Noi and while development is rapidly increasing on this island. Both islands still remain a quiet sanctuary, and are largely unaffected by over development and the mass crowds like you see in Phuket and even Krabi. The Koh Yao islands are mainly populated by Muslim communities. These people make thir living from fishing, rice farming, rubber tree, fruit, palm and coconut plantations. 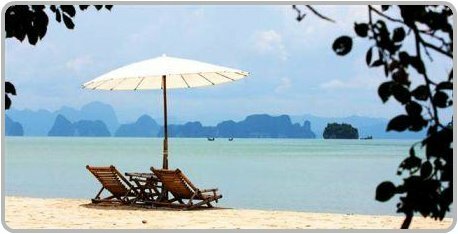 During the south west monsoons the Koh Yao islands are sheltered from the rainy season waves making them a great destination to spend a few relaxing days of your holidays or an enjoyable day trip. Koh Yao Yai is the largest Island in Phang Nga with an array of plants, animal and marine life. The Koh Yao Islands are one of Thailand's best kept secrets; the traditional way of life on the Island has remained virtually unchanged and the friendly locals will welcome the eco-conscious traveller. The main road that runs the entire length of the Island winds past small village communities, farms, fishing villages and many quiet beaches. Koh Yao Noi covers about 50 square kilometres and has approximately 18 kilometres of dirt and concrete roads, making it an ideal spot for bicycling and walking. The beaches on the eastern side of the island are suitable for swimming and snorkelling. Whereas the beaches on the western side although very picturesque, they are not suited for swimming as they are covered with mangrove trees. Being one of the most developed islands in the Phang Nga Bay archipelago. 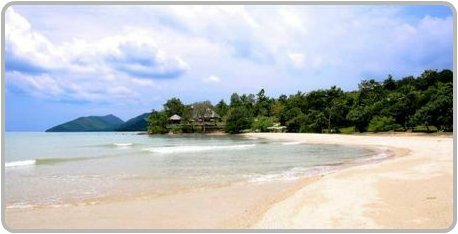 Koh Yao Noi is where you will find all the government offices located and a range of facilities which include a hospital, several schools, a 7-11 and a post office, restaurants and internet access. The beaches and bays around the Koh Yao islands are lovely as they are yet to be spoiled by mass tourism, they offering stunning views of limestone karsts that rise from the water. There is not a lot of night life on either of the islands and it is limited to quiet romantic dining and drinks at the resort bars. The locals that live and work on the Koh Yao islands are keen to preserve their traditional ways. So it's important when your visiting the islands to respect the local culture and religion by dressing modestly and refraining from drinking alcohol outside of the restaurants and resorts that cater to visitors. Koh Yao Noi is one of the best rock climbing destinations in Thailand. There is a variety of grades, face climbs and multi-pitch climbing. For the ultimate climbing experience in Thailand there is also deep water soloing, tours for both are available through Andaman Adventures and a few other companies. Maybe you would prefer to go mountain bike riding, there are cycling tours from Phuket to Koh Yao Noi and it is a great way to take in the scenery. You can visit the local fresh food market where you can taste the exotic fruits and learn a little bit about the local vegetables. There are also home made Thai delicacies and locally made souvenirs. Or explore the beautiful Islands that surround Koh Yao Yai by longtail boat and visit Hong Island and Bi Leh Bay. 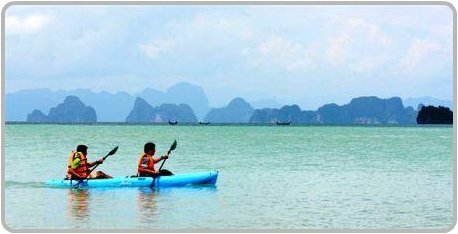 Activities you might like to do is to rent a long-tail boat to go snorkeling at Khai Nok and Khai Nai islands or go hiking, kayaking or take a tour of the island by motorbike. 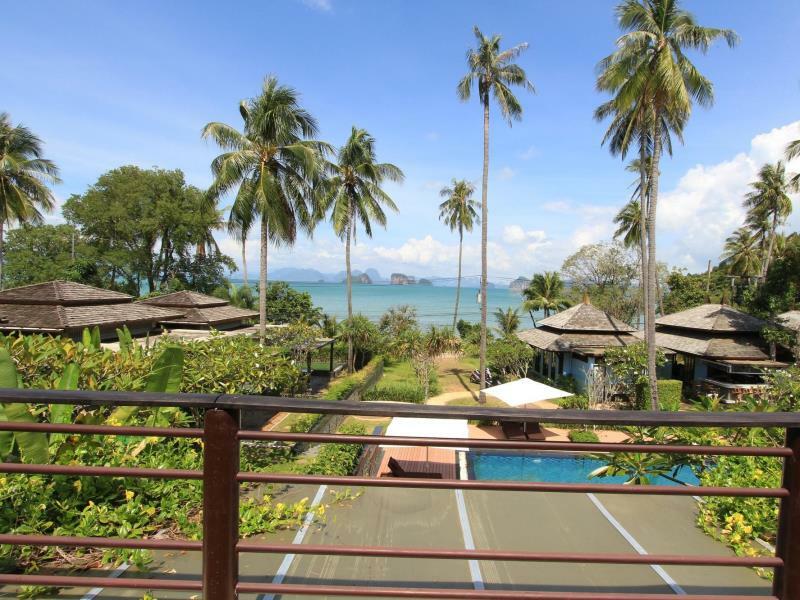 Koyao Island Resort has 15 luxury villas all designed in traditional Thai architecture, each villa faces the beach and has undisturbed views of Phang Nga Bay. With three superior villas and eleven deluxe villas that are especially designed for couples. Family villas are available and can sleep up to six people. Activities at Kayao Island Resort include snorkeling, diving, island hopping, fishing, water sports, kayaking, bird-watching, biking, rock-climbing, jungle tracking and boating. 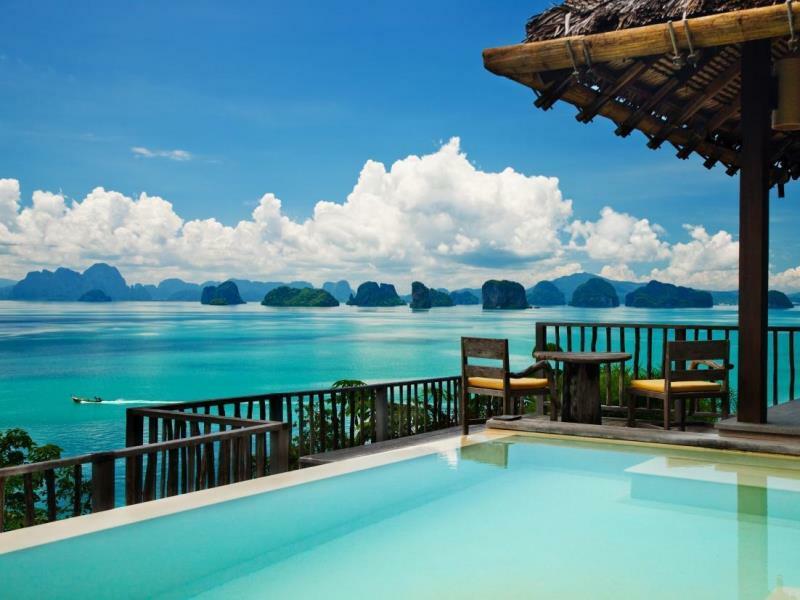 Six Senses Yao Noi is a five star resort comprising of 54 private pool villas. 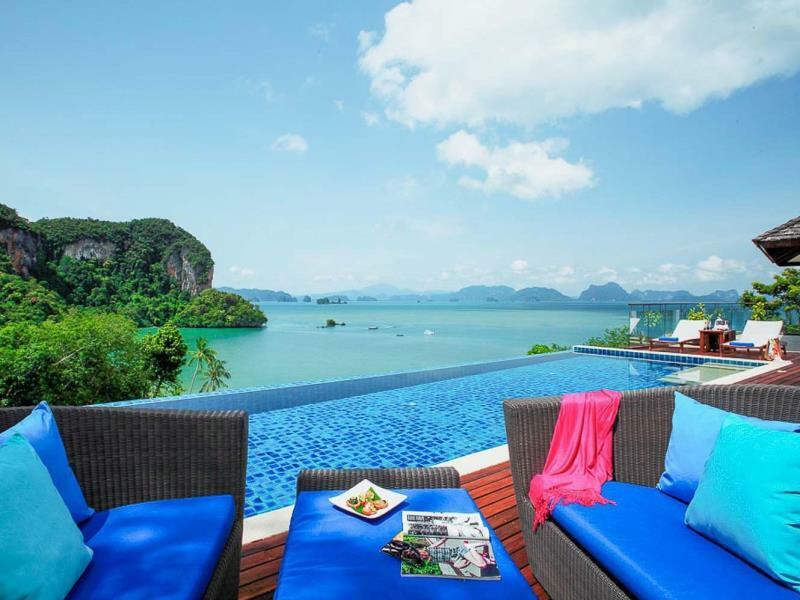 Each villa has its own infinity-edged pool and sundeck offering spectacular views over Phang Nga Bay. Activities at the resort consist of spa treatments, holistic activities, gym, thai cooking classes, exclusive speed boat tours, customized boat and bicycle tours, tennis court and a gym. The Six Senses is an ideal destination for a romantic getaway, or maybe a dream wedding on a tropical island. 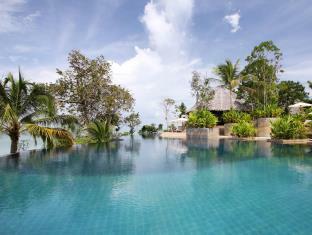 The Paradise Resort is a luxury boutique resort located at the northern end of Yao Noi Island. The resort is an ideal destination for a tropical beach wedding or a romantic getaway. Activities include diving, rock climbing, trekking, canoeing snorkelling and mountain bikes. 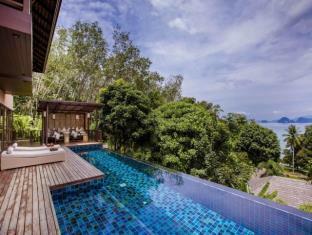 Niramaya Villas and Wellness is situated on the beachfront at Koh Yao Noi overlooking Phang Nga Bay. All the villas feature a private terrace with free Wi-Fi and a private garden with outdoor Jacuzzi and in-villa spa treatments. Activities include yoga, tai-chi and meditation. Koh Yao Noi has some of the finest resorts as well as a range of cheap bungalows. There is also some Eco-friendly homestay programs available. Koh Yao Yai Village is a private and peaceful retreat. The resort is located on the eastern side of this unspoiled island. Each of the bungalows and family villas are individually styled and decorated with handmade handicrafts sourced from the island itself. Facilities include an infinity pool, restaurant, library, gift shop, activity centre and massage room. Glow Elixir Resort features 40 spacious private villas located in the private Bo Le bay. Visitors to Elixir will find that they have truly escaped to an unsurpassed paradise. Activities include, horse riding, jeep, motorbike, mountain bike rental and nature walks. From Phuket the best way to get to Koh Yao Noi and Koh Yao Yai is from Bang Rong Pier, on Phuket's east coast, approximately 20 minutes drive from Phuket Airport. The ferry arrives firstly at Loh Chark Pier at Koh Yao Yai and then continues onto Manoh Pier on Koh Yao Noi. There are about 10 passenger ferries daily, from 07:30 to 17:45. The fare is 120 baht per person by longtail boat, taking around an hour. If you choose to go by speed boat it will only take around 30 minute, costing around 200 baht.